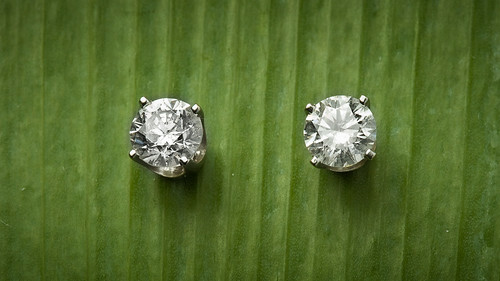 I confess that these sparkly earring studs are a must have! They really make any outfit a bit more glam. I can wear this style for an evening night out and also even with a casual outfit and they don't fail in adding that sophisticated feminine touch. They sell similar earring type at almost every department store and at different price tags-so it's not necessary to make tons of money to buy them. I confess that I make sure to shop for fine jewelry when a holiday approaches-like Valentine's day to take advantage of all the great sales.